A wilderness frontier, home to mega diversity of life and some of the World’s last remaining Peoples Living in Voluntary Isolation. The longest tributary in Madre de Dios. 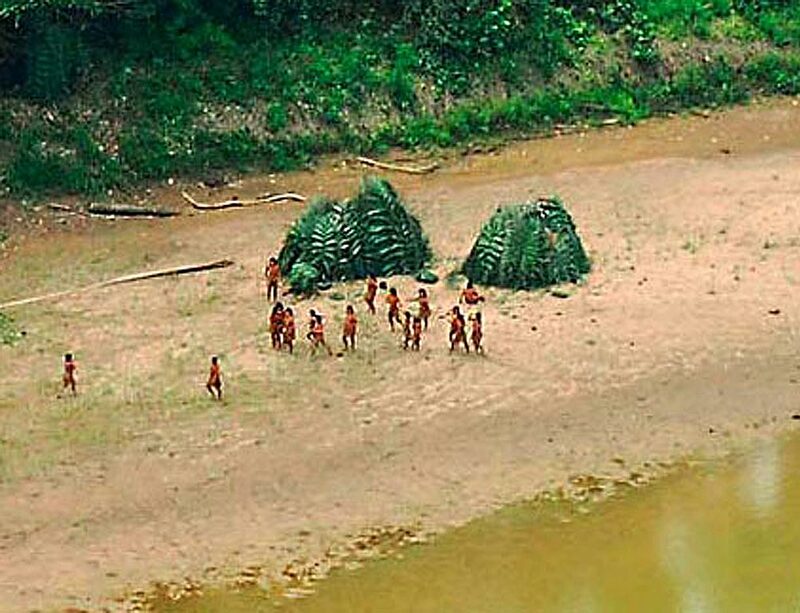 Remote areas home some of the last uncontacted tribes on Earth. Remote, unstudied and largely unvisited. More than 600 species of bird. An important region for Brazil Nut harvesting. 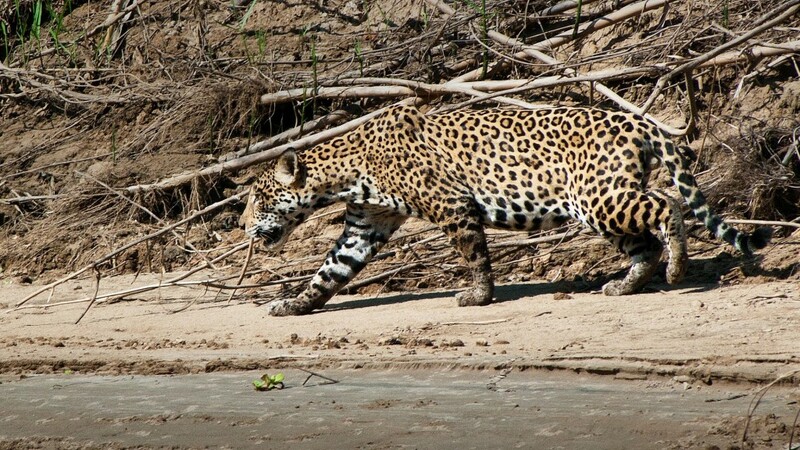 An important area for Jaguar populations. Las Piedras offers visitors an opportunity to witness wild Amazonian forests, incredible wildlife and fascinating cultures, while supporting the protection of the forest, its wildlife and its people. While Las Piedras remains largely unstudied, researchers have so far documented a high diversity and abundance of wildlife species, even in the lower, more impacted areas of the watershed. ARCAmazon and Fauna Forever research teams have undertaken rapid assessment surveys at 3 sites in the mid-reaches of the river and have counted over 40 medium to large-bodied mammals including; cats Jaguar, Ocelot, Margay, Puma and Jaguarundi; over 10 primates Black spider monkey, Black-headed night monkey, Red howler monkey, Gray’s bald faced saki, and Saddle-backed tamarin; and enigmatic mammals Short-eared dog, Giant armadillo, Giant anteater, Grison and Brazilian tapir. Data includes over 500 bird species, including some of the rarer species such as Psittacidae (Parrots), Cracidae (Guans), Harpia harpija (Harpy eagle), Morphus guianensis (Crested eagle), Conioptilon mcilhennyi (Black-faced cotinga), Cnipodectes superrufus (Rufous twistwing), Notharchus ordii (Brown-banded puffbird), Conopias trivirgatus (Three-striped flycatcher) and Sclerurus rufigularis (Short-billed leaftosser). Click here for full species lists. The headwaters of Las Piedras begin in the Alto Purus National Park, home to groups of native indigenous tribes that live in voluntary isolation from the outside world. Our duty is to ensure we remain well away from these people for their safety, and ours, which is why we only work in the middle reaches of Las Piedras River–days away from these important tribal lands. In the lower and middle reaches of Las Piedras there are a number of interesting riverside communities that welcome visitors and the idea of responsible tourism. The settlements of Lucerna and Palma Real form a river port and one of the oldest colonial settlements in the area. They established during the time of the rubber boom. There is a road between the community and the Interoceanic Highway which is beneficial to the Brazil nut harvesters who depend on transport routes to maneuver their produce. The communities dedicate their lives to agriculture (corn, ginger, cacao, fruit), Brazil nut harvesting and timber extraction. Further upriver one finds the remote communities of Puerto Nuevo and Monte Salvado. Puerto Nuevo is an incredibly remote community, two days upriver from Lucerna. This remoteness has advantages and disadvantages. While the community can lead a relatively undisturbed lifestyle and enjoy fluency in their native tongue (Yine) they are still at risk from disease, malnutrition, lack of access to health services and the odd surprise visit from the uncontacted tribes. Monte Salvado is the most remote settlements along Las Piedras and they are decedents of the Yine People. As implied by the name it is also the site of a North American Christian mission devoted to converting the uncontacted tribes to God. The strategy of the mission was to leave the tribes presents of machetes and bananas. Not surprisingly, these days the community tends to be threatened by the uncontacted people at least once a year while the tribesmen gesture for more machetes and bananas. The community has worked with a few organizations to try to protect the Territorial Reserve for People Living in Voluntary Isolation, lying just north of them, from outsiders who wish to enter to extract the forest’s resources (Mahogany etc.) despite it being strictly a no-go area. Las Piedras River begins in Alto Purus National Park and runs some 650 km before it flows into the Madre de Dios River. The headwaters of the Piedras make up a large portion of two of Peru’s most important protected areas. Alto Purus National Park and Madre de Dios Territorial Reserve for People Living in Voluntary Isolation together harbor some of the last isolated indigenous tribes and most remarkable biodiversity on Earth. 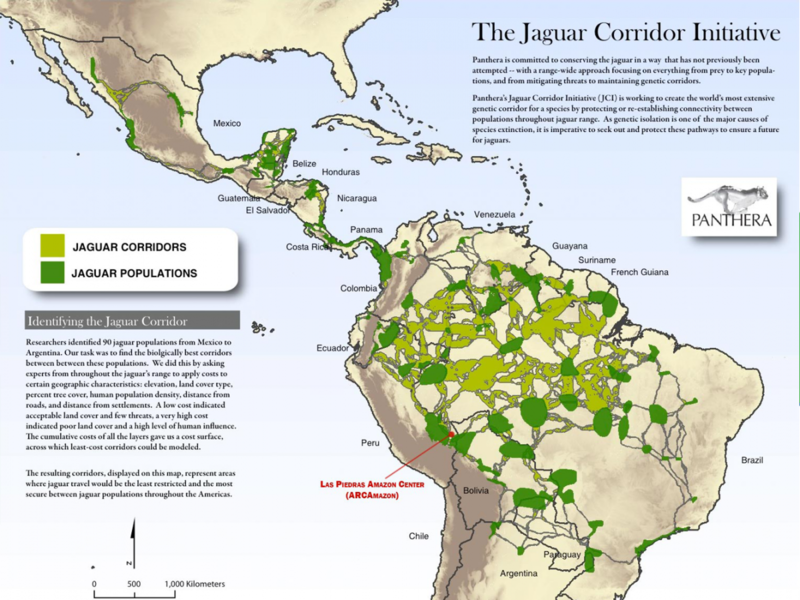 The watershed lies within the Tropical Andes Hotspot and Panthera Jaguar Corridor System. 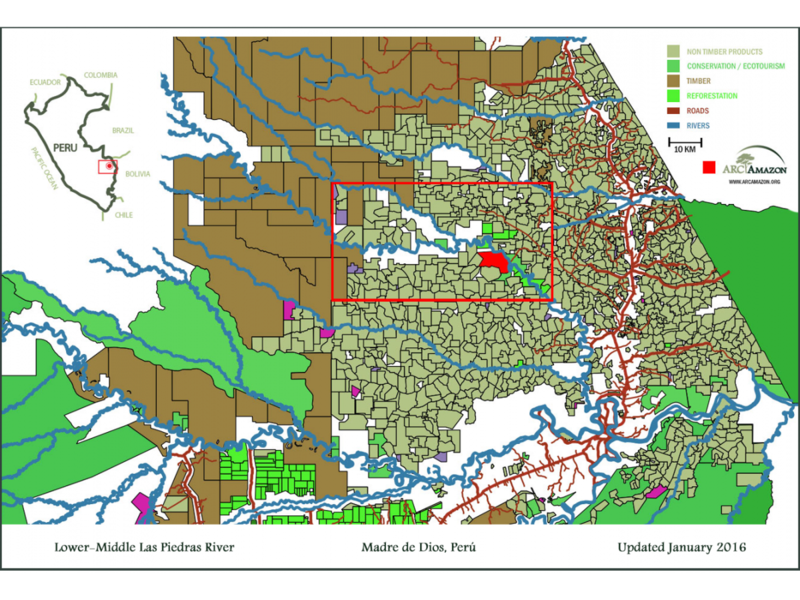 Lower Piedras, the more easily accessible section of the river and currently outside state protection is divided into approximately 200 individual concessions. Each concession is used and managed by its concessionaire based on long-term rights ownership agreements with the Peruvian government. The vast majority of concessions are designated for the sustainable harvest of timber or of non-timber forest products, while just a few are for reforestation, ecotourism or conservation use. There is currently little to no policing of the use of the forest within concessions in Las Piedras. 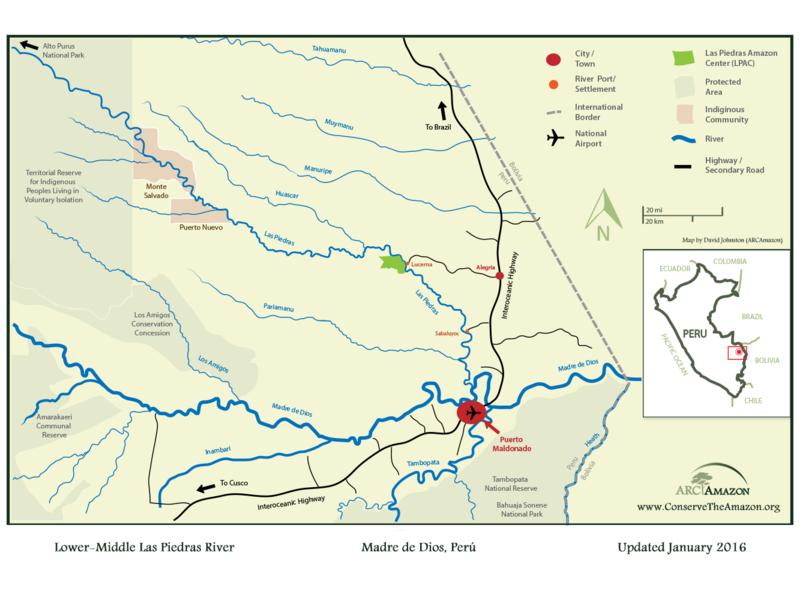 The headwaters of the Las Piedras begin in the Alto Purus National Park (more than 4 days upriver by boat from ARCAmazon’s focal area), home to indigenous Juni kuin (Cashinahua), Sharanahua, Culina (Madija), Mastanahua, Chaninahua, Yine, Amahuacas and Ashaninka peoples. There are at least two known groups of natives that live in voluntary isolation and who use the Alto Purús and Alto Las Piedras River area as part of their seasonal migration routes. The Mashco-Piro, the largest and most mysterious of these uncontacted tribes, inhabits the upper Las Piedras River. These people have decided to continue their lives in the forest, unconnected with the outside world. In one of the only studies in the region carried out in 2002 to document illegal logging in the upper Las Piedras, 17.3% of all interviewed loggers reported having personally seen uncontacted natives (18 distinct cases) (Björn Schulte-Herbrüggen, 2003). This same study reports that 92.2% of the illegal loggers that work along the tributaries of the Las Piedras River have worked within the areas reserved for isolated indigenous people. 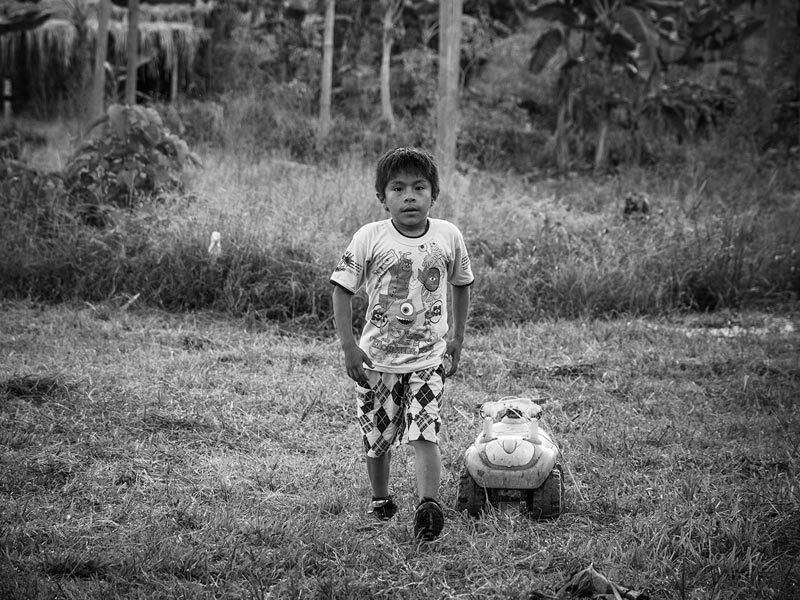 Threats from lower Las Piedras area are spreading upriver at a concerning rate and endangering the future of these unique people and wildlife. Between 2002 and 2004 the Peruvian government granted more than 7.5 million hectares of forest in concession to logging companies. The middle and lower Las Piedras were primarily divided into Brazil Nut Concessions and Timber Concessions. 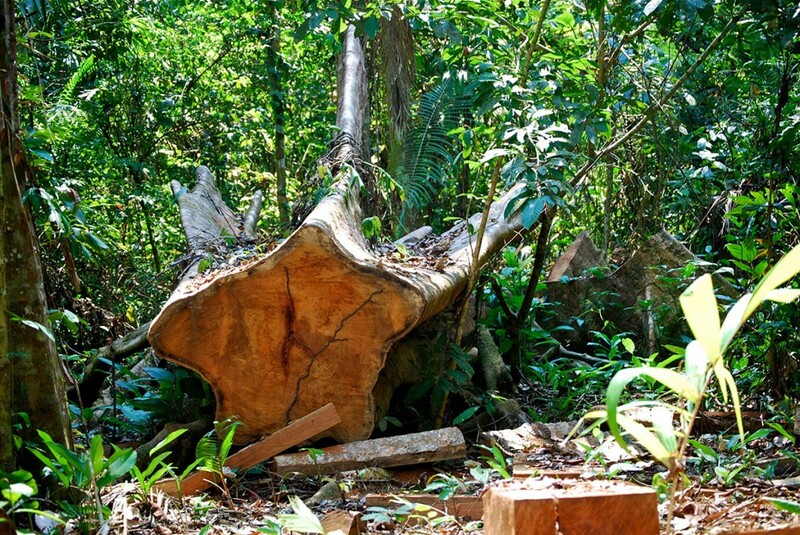 Despite this attempt to zone the use of the forest, over-harvesting of timber continues to grow due to the high market price of species such as Mahogany, Cedar, and Iron Wood, and a total lack of government presence and therefore government-based policy enforcement. 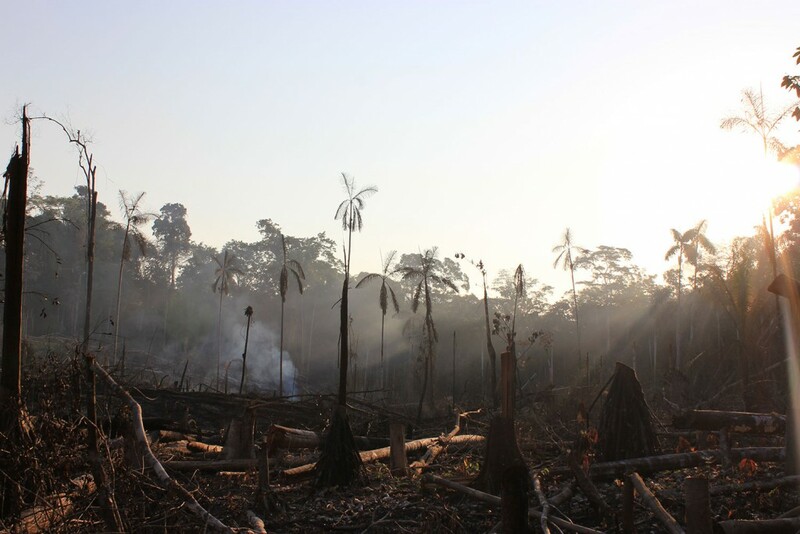 Recent loopholes in the law and generally low income from Brazil Nut harvesting has meant that thousands of Brazil Nut Concessions (hundreds of thousands of hectares) are now legally being logged, and hunted as a consequence, in the lower and mid Las Piedras. The areas surrounding Las Piedras are increasingly under threat from encroaching road networks and conversion of forests to agriculture. While it is technically illegal to convert forest in a concession many local people believe they will have a good chance of obtaining land ownership if they race to convert it to agriculture. As a result, the area cleared in the lower Las Piedras is growing at an alarming rate, with frontier extraction settlements such as Lucerna continually felling and burning the land around them to make way for unsustainable agriculture. It is vital to work with these communities to find ways to increase the productivity of their forests and community lands, and so reduce their rate of forest conversion. There is currently little to no presence of private or government conservation-focused action in the region. ARCAmazon is one of the pioneers in this area. ARCAmazon aims to create a network/corridor of protected and sustainable use areas through collaborative conservation in the Las Piedras watershed. We have begun our work by securing a 4,460 hectares of forest which is intended as a base from which to conduct research on wildlife, sustainable activities and business models, ecotourism, new technologies and conservation methods. Though Amazon Academy we are connecting the voice of the rainforest to people across the globe while bringing thousands of people, local and foreign, to come to Las Piedras to take part in creating a solution for this spectacular natural ecosystem.